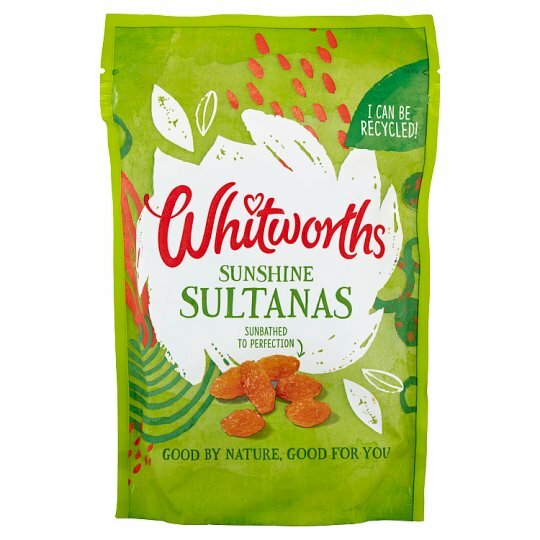 Our Sultanas are lovingly selected from vineyard in the Gediz Valley in Western Turkey. They are sun dried then carefully de-stalked to ensure they are perfect for your baking. Here at Whitworths we're passionate about bringing you the very best that nature has to offer. We go to great lengths to source and select the finest ingredients, but that's not all... our expertise and attention to detail in preparing our fruits mean that you are guaranteed a tasty and delicious result with every bite! Store in a cool dry place., Once opened, reseal, refrigerate and consume within 2 weeks., For best before date see base of pack.